It turns out that the behavior of animals is not the same as the behavior of their brains; instead, it results from the processes that derive from the interaction of neuronal activity, body biomechanics and environmental conditions. To say it more clearly: to understand our brain we need to understand our behavior; however, to understand our behavior it is not enough to understand our brain. We need to truly integrate it with our body and, consequently, with the world. Neurons without muscles are almost dumb; muscles without a world are like senseless voices. As a result, we can defend a plural view of neurosciences where the dissection of “processors” bears fruit when it comes after carefully decomposing the “processes” (Krakauer et al.). Some ostriches have feathers. So do birds. How can we deduce that birds’ feathers are used to fly by performing a thorough study of their properties? Why are submarines shaped like sharks? Striving to look for principles of animal behavior in multiple species may offer a unique and in-depth view of their neurobiology, ecology and evolution. 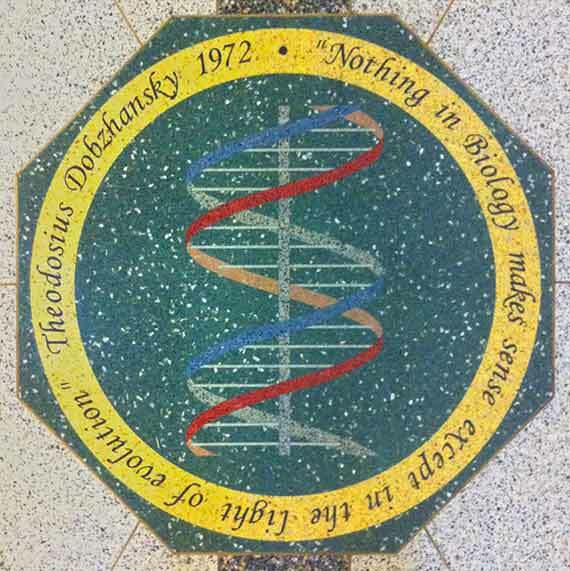 To finish, let’s quote Gallistel: “No Mendel, no Watson & Crick.” It should be stressed that most of “life’s molecular view” as nurtured in the second half of the 20th century seemed devoted to invert the argument. It has been often said that the DNA is the secret of life, that we firmly believe that neurons are the secret of the mind. Are they? Maybe. But without your body, you are nothing. This is probably the most honest challenge of neuroscience nowadays: accounting for the sense of what’s neuronal through what’s related to the body. Dobzhansky, T., F.J. Ayala, G.L. Stebbins & J.W. Valentine (1993). Evolution. Omega, Barcelona, Spain. Woese C. R. (2004). A new biology for a new century. Microbiol Mol Biol Rev, Vol. 68, pp.173-186. Gallistel, C. R.(1980). The organization of action, a new synthesis. New York : distributed by Halsted Press, 1980. Krakauer J.W., Ghazanfar A.A., Gomez-Marin A., MacIver M.A., Poeppel D. (2017). Neuroscience needs behavior: correcting a reductionist bias. Neuron 93:3 480-490.